Kym Barrett is a painter who graduated in Fine Arts from the Brisbane College of Art in 1975 and now lives and works in her studio set in bush land and creek in S.E. Queensland. It is these surroundings that inspire her to make paintings that evoke a sense of depth and mystery while echoing the marks, colours and textures of the landscape she is immersed in every day. Oils, cold wax medium and drawing tools are her most frequently chosen media and gestural mark-making is a feature of the work, sometimes strongly and at other times, subtly. 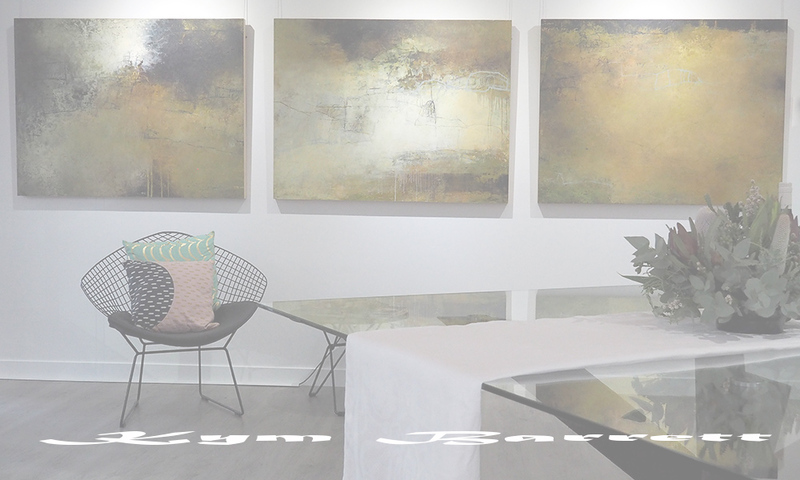 Kym has held fifteen solo exhibitions and numerous group exhibitions. Her paintings are contained in private collections in Australia, USA and Canada, and in several Queensland public collections. WINNER of the Andrew Fisher Portrait Prize, 2014.